The 9 a.m. to 4:30 p.m. conference will be held in the Dauch College of Business and Economics on the Ashland University campus and registration for the event is open through Feb 20. The cost is $65 for general admission, $60 for ACN members and $30 for students, and registrations can be made by calling 419-289-5313. 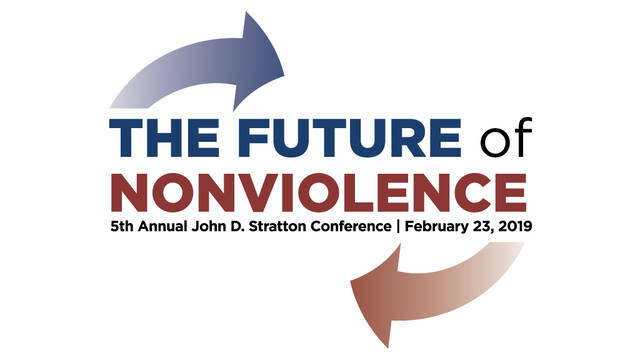 Dr. Craig Hovey, executive director of the Ashland Center for Nonviolence, said the theory and practice of nonviolence includes a wide variety of philosophies, theologies, practices and strategies. “Panel on Rethinking Democracy and Nonviolent Power in Dangerous Times” with Colins Imoh, The University of Toledo; Janet Gerson, International Institute on Peace Education; Dale Snauwaert, The University of Toledo; and Jeff Warnke, Walsh University.